NEW BEDFORD, Mass. 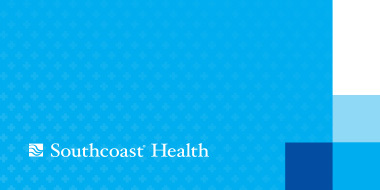 – Southcoast Physicians Group (SPG), a part of Southcoast Health, today announced that Tom Linhares has been named Executive Director. In this role, Linhares will be responsible for overseeing the strategic growth and optimization of SPG. More specifically, he will lead SPG to become a high quality, high performing group with sound business and clinical operations that is physician and patient friendly. Linhares brings to SPG more than 30 years of healthcare experience as a clinician, consultant and administrator. Previously, he served with JHD Group as the CEO of Western Connecticut Medical Group, a 500 physician group. Prior to that, he was the vice president of operations at the Lenox Hill Hospital in New York where he managed the medicine, surgery, cardiology, OB/GYN and other hospital-based departments. Linhares is a resident of Hyannis and grew up in Taunton, attending Bristol Community College. His first job was as a staff nurse at Truesdale Hospital in Fall River. His education includes a Masters in Nursing Administration from Villanova University, and Bachelors in Nursing from LaSalle University.